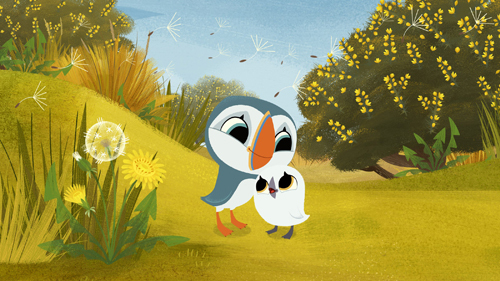 It was announced at MIPCOM earlier this week that the animated preschool series, Puffin Rock, narrated by Chris O’Dowd, has been nominated in the Kids: Preschool category at this year’s International Emmy Kids Awards. The series is co-produced by Oscar-nominated studio Cartoon Saloon, children’s media company Dog Ears, Penguin Random House and distributed internationally by Superights. Puffin Rock is produced with the support of Northern Ireland Screen, Irish Film Board and European Media Fund. It was also announced that the series has arrived in China as part of a multi-license deal with China Nebula Group (CNB), including TV rights, digital, merchandising and toys.